RED is the most important color to regularly work with. Red stabilizes your entire being and energizes all of the other chakras. Without a strong 1st chakra foundation, the rest of the chakras will not be rooted or flowing in other aspects of your life. Don’t be afraid of red; its association to power and material stuff leads some to believe that red is not “spiritual.” In actuality, red helps realization and awakening around life purpose. It helps to ground the spiritual warrior, bringing spiritual gifts to the earth plane. When we bring spirituality to the physical, we truly can transform reality and the way we relate to material goods, money and survival. Red is life force and life force is well being. Nearly five years after closing our store on Melrose, we’re thrilled to launch our new site. It’s amazing how much the world has changed since I first started Aunt Vi’s in 1999. I remember starting our first website and how confusing the internet seemed back then. Who could have predicted how important the web has become. 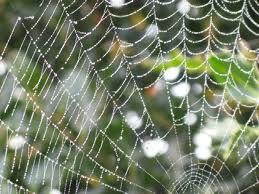 It is truly a manifestation of the spiritual reality of the web of life underlying all creation. I have become enamored by the power of social media and its ability to help people communicate, participate in and build community and express their entrepreneurial spirits. I am excited to see where this new expression of Aunt Vi’s will take me. I can’t wait to have you be a part of its unfolding.